Get clarity and direction on college admissions. FLEX lifts the fog of college admissions, providing you with clear, accurate information and advice. We know what colleges are looking for. 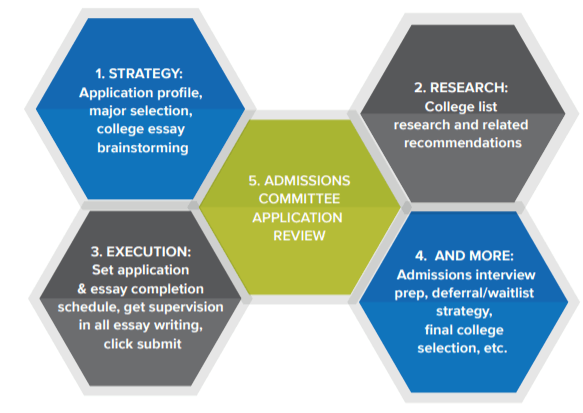 We’ll help you develop a personalized college admissions roadmap to get into your dream school. The college admissions landscape can be bewildering. Families spend countless hours researching, planning and preparing for university. Unfortunately, misinformation abounds, causing uncertainty and confusion. Families often aren’t sure they’ve gotten the right information, done everything needed, nor made the best decisions on college admissions. Admissions into top universities is also extremely competitive. With more applicants than ever before, admissions rates have dropped precipitously the last couple of decades. Students are more challenged than ever to stand out from the crowd. The costs of poor college preparation are high. Students may not be able to attend their preferred schools, which may affect their job prospects and long-term earnings potential. Moreover, poor planning often results in having to spend more years at university, translating into substantial extra costs. FLEX Admissions Consulting helps you navigate the admissions landscape, providing you with clear, updated information and advice. More importantly, we work with you to build a standout college application profile, ensuring that your very best self is presented to universities. With FLEX Admissions Consulting, you’ll save time and money, get peace of mind, and increase your chances of getting into your dream college. 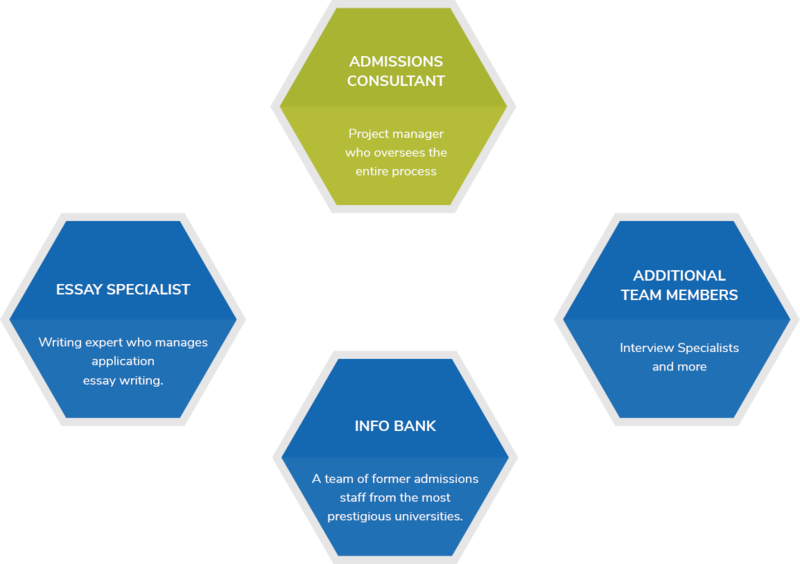 The key to our success is a proven consulting model that employs former admissions officers and a team approach to admissions consulting. FLEX Info Bank is the engine behind our consulting model. It consists of former admissions officers from the nation’s top colleges and universities. As former admissions officers, they know what it takes for students to get into university. The Info Bank is also a knowledge repository, containing FLEX’s more than 17 years of accumulated expertise on college admissions. Together, the former admissions officers and knowledge repository make up the FLEX Info Bank — the powerful resource we tap into to formulate personalized college admissions strategies for students. FLEX Admissions Consulting is a collaborative effort between admissions consultants, FLEX Info Bank, essay instructors and other specialists, each utilizing their unique expertise to guide students through the all-important college application process. No matter where you are in the admissions process, FLEX has a service for you. Designed for rising 12th graders, FLEX’s ACE program supports students through every step of their college application and essay-writing process. Beginning the summer before the senior year, a dedicated admissions consultant will assist the student to strategically fashion a college application profile, select the right major, and cultivate a list of target colleges. Over the course of six months, an experienced essay specialist will work alongside the student and their consultant to guide the essay-writing process, set a completion schedule and ensure the final product is polished and engaging. The ACE program culminates in a full application review by a panel of admissions experts (members of the FLEX Info Bank) before the student officially submits their applications. Designed for 8th-11th graders, FLEX’s College Admissions Consulting services provide strategic counsel for students to maximize their chance of admission to their target schools. We begin by understanding a student’s academic capabilities and career interests. With this knowledge, the student’s dedicated admissions consultant will collaborate with FLEX Info Bank to formulate a personalized college admissions roadmap for the student. The service includes assistance with high school course selection, extracurricular activity research and planning, standardized test evaluation and scheduling, as well as personal development to build leadership skills and cultivate self-awareness. Consultants also help students organize priorities and deadlines, and will regularly engage with students and parents to ensure students are on track. Develop a personalized, optimized strategy. Designed for 6th-8th graders, FLEX’s Private Middle and High Schools Admissions Consulting services provide strategic counsel for your child to maximize his or her chance of admission to target schools. Experts with extensive experience in private middle and high school admissions will assist you and your child in creating the most competitive applications, meeting the various deadlines required throughout the process, evaluating standardized test prep and tutoring needs, and making decisions after acceptance. I just heard back from Stanford and I got in! My family and I want to thank you for all of your support and guidance through the college admissions process. From profile positioning strategy to essay recommendations to reviewing my applications to the interview preparation, you and the FLEX team are truly experts in all steps of this process, and I couldn’t have done it without you guys.Thank you again and let’s definitely keep in touch. With FLEX, you’ll feel confident about your college application choices.